The story of the New Horizons spacecraft is an epic one, fraught with near misses and brushes with death all along its path. The exploration of Pluto is a moment I will remember until I die. 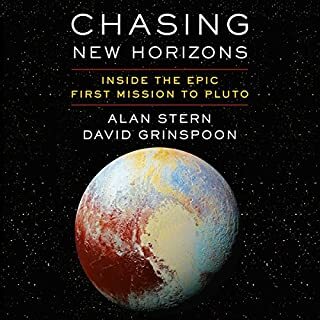 While the story is a must hear, be wary that this perspective is from its champion, Alan Stern, who necessarily tells it in perhaps a more dramatic and self-serving way than may be true. Nonetheless, authors' biases aside, this is a great story and I would recommend it to anyone.